Bilstein - Precision. Reliability. Success. Since 1873, when the first foundations were laid for innovation in Germany's Westphalia region, Bilstein has been closely associated with high tech innovation and quality in the field of suspension design, driving comfort and safety. Since 1928 Bilstein have been supplying OEM quality components to the automotive industry. Throughout the world, the name ThyssenKrupp Bilstein Suspension is synonymous with exceptional quality and performance. Their reputation has, for many years, seen ThyssenKrupp Bilstein Suspension as a preferred partner in motor sports and vehicle tuning. In the category of suspensions, sports shock absorbers and springs, Bilstein is a leading brand with the best quality - A claim backed up repeatedly in readers' surveys and motoring magazines. Recently, Bilstein were awarded the "Best Brand Award" in the German publication 'Auto Motor Sport' for the 7th consecutive year following on from 2006, 2007, 2008, 2009, 2010, 2011 and 2012. World leaders in suspension design, driving comfort and safety. The comprehensive BILSTEIN shocker range supports almost every car and is manufactured with high quality and precision to meet OEM specifications. 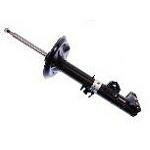 Any shock absorber is only as good as the equipment around it. So when you're replacing shock absorbers, make sure you have the right service parts. Replacing bump stops and dust tubes is an absolute must. As an OEM replacement, Bilstein's B4 range of shock absorbers have been in production for over 50 years and have been provided for fitment to practically every car in recent decades - including the joint project with Mercedes to create their famedAirmatic system for the flagship Sclass. Offering constant damping under any load and using Bilstein's gas pressure technology, the B4 range will drive like it's the first time, every time. Tested on the NÃ¼rburgring-Nordschleife, arguably one of the most famous and punishing racetracks in the world, Bilstein's performance range is famous for it's consistent performance and reliablity under extreme pressures.. Whether you're simply looking for more damping power from your shocks for safer daily drive, or an all-out adjustable system for a weekend track toy, Bilstein has designed and tested a shock absorber system specifically made for your car and your needs. 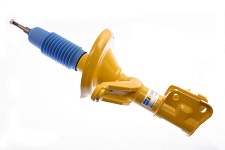 BILSTEIN offer a wide range of innovative technical designs. When choosing BILSTEIN springs you are choosing uncompromising OEM quality. BILSTEIN steering systems combine experience and quality with many innovative features. You can rely on safety and driving comfort with BILSTEIN's exclusive newly manufactured steering gear which meets OEM specifications. Our answer to the continuously increasing requirements in automotive engineering: high manufacturing expertise. BILSTEIN rack-and-pinion steering systems for passenger cars, vans and commercial vehicles combine experience and quality to leading edge systems with numerous innovative features. You can rely on safety and driving comfort in the passenger car van and commercial vehicle sector.